Swampscott elementary school principal Shannon Daniels at her office Tuesday. Swampscott elementary school principal Tom Daniels is now Shannon Daniels. 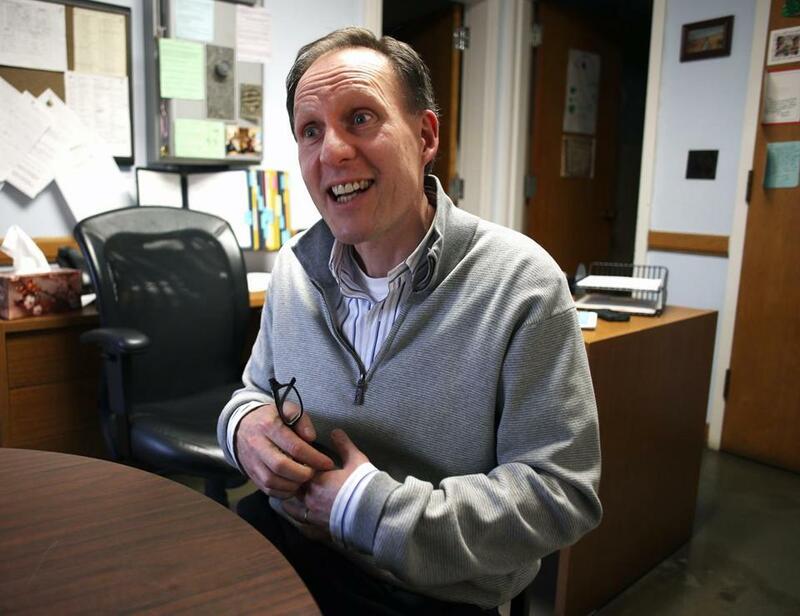 In a letter to the school community Tuesday, which was forwarded to the Globe, Daniels came out as transgender, a decision Daniels made after struggling for decades with her identity. Daniels, who was born biologically male, said she identifies as both male and female. But moving forward, Daniels plans to present herself as female, and use her middle name, Shannon, as her first name. “An Irish name meaning ‘wise river,’ it is used by both males and females, perfectly denoting my fluid gender identity,” Daniels said in the letter to staff and parents at the Stanley Elementary School, where she works. Daniels said in the letter, dated Tuesday, that as she nurtures her new identity, she will “most likely be presenting myself differently.” Daniels asked that students refer to her as Principal Daniels but said the pronouns “she,” “he,” and “they” are acceptable to use. She promised she would “do everything in my power” to ensure that her decision to come out does not have any negative effect on the school community and thanked the district for its immense support. According to MassEquality.org, in 2015, Swampscott became the 12th community in the state to enact a policy adding gender identity to its nondiscrimination policy. Angelakis, who provided parents with a list of resources about being transgender, said in the letter that the district would provide opportunities “for education and conversation” about the topic in the near future. Read Shannon Daniels’s and Pamela Angelakis’s letters below.